All the Bros Podcast: Do the ends justify the means? TS1 Podcast: Blue Moon Rises. Monday Funday – Beckham. The Other Beckham. Warning: This is a post about football. Not the football that’s rightfully called so because it’s played with feet, but the American version I like to call Handegg when no one is around to punch me. This post is about American handegg football. This post is about Beckham. This post is not about David Beckham. 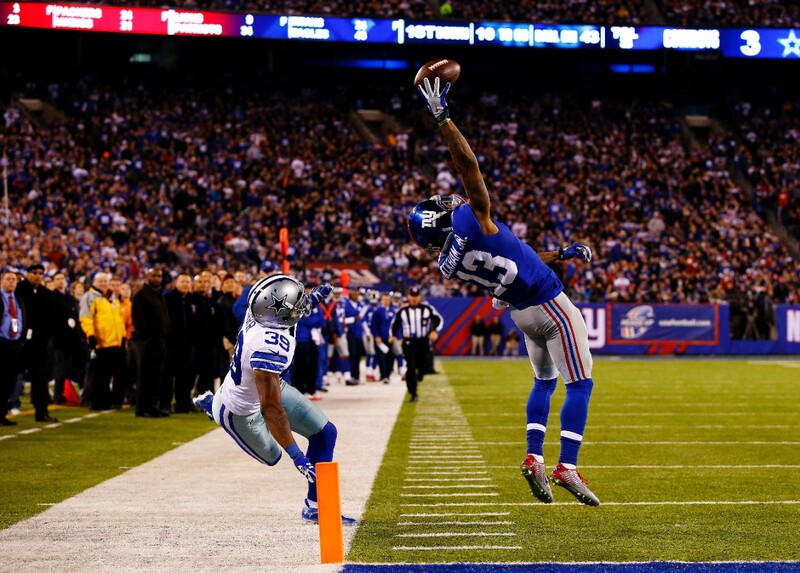 This post is about Odell Beckham, Jr. A young man who is phenomenally talented at catching handeggs. Ridiculously talented at catching handeggs. So talented, that he may have made the best catch ever seen last night during the New York Giants’ narrow loss to the Dallas Cowboys. Witness Beckham, Jr’s warmup. That’s just a guy making one-handed catches look like the easiest thing in the world. No big, right? Small surprise then, when it came time to do it for real,�this happened. There are no further words needed. This is just about as good as it gets. Something tells me David Beckham might move down a bit on Google’s search algorithm going forward.